Middle of the week which means the weekend is around the corner. That means a new adventure with Mom which is so much fun. On Saturdays I volunteer at a food bank which I love doing, Layla sometimes comes with me and she is in seventh heaven being loved by everyone so when I get home I am exhausted, but it is worth it as it makes me feel great giving back and helping. We always laugh as I am a Jew volunteering on the Sabbath in a Lutheran Church. I decided this year that every Sunday we would be out of the house doing something fun with Layla. Living in San Francisco I am spoiled as there are every week different fairs or events and I am planning to do as many as possible plus of course the Dyke March again this year. The plus is having the back pack has eased it for me as Layla is safe and happy, my hands are free to take pictures or whatever else I want to do. 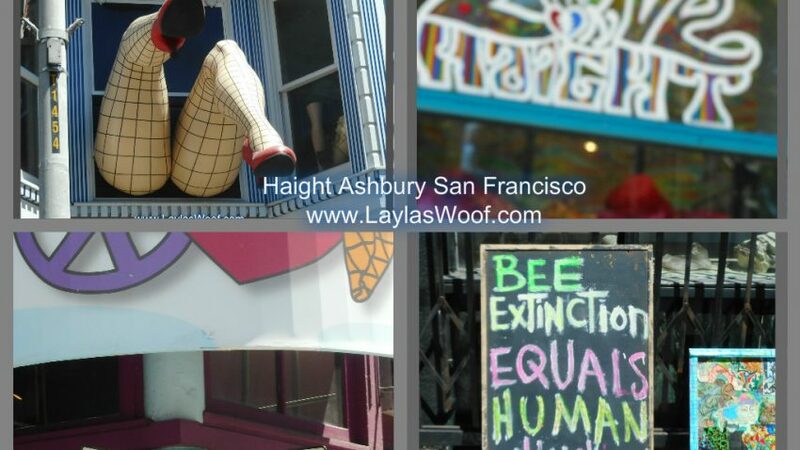 Last Sunday we went to the Haight/Ashbury street fair where there were lots of booths selling all kinds of things, fantastic food trucks with yummy foods so it was great to just wander around, look at the booths or stores and the weather was perfect. It was a fun late morning start and I took the tram up the hill to the fair and then we walked home through the dog park. 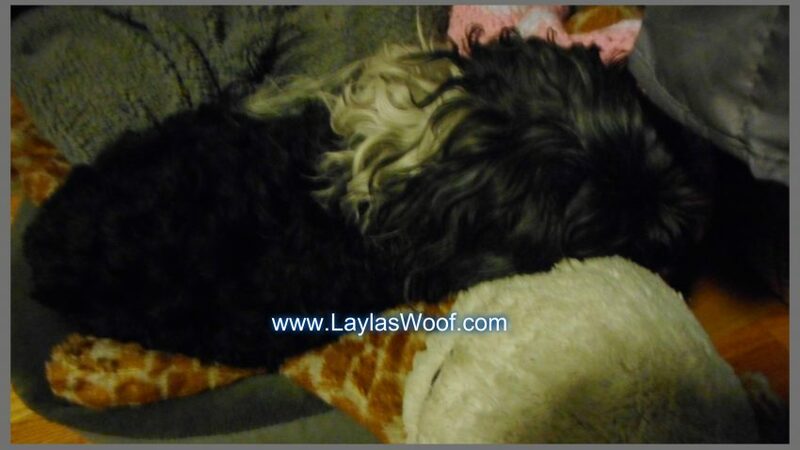 Layla was exhausted and so was I but we both got lots of exercise. 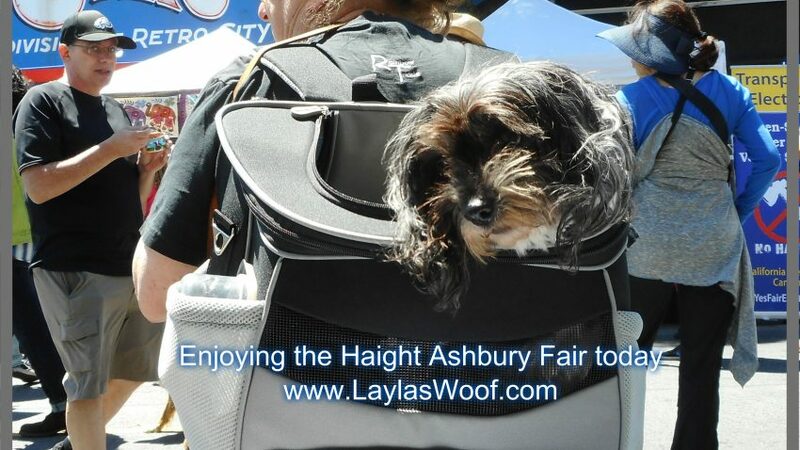 AND the best of all was Layla became a little hippy for that day – all part of the history of San Francisco. This coming Sunday there is another event which really interests me and I am planning to go to is the Native Contemporary Arts Festival Free Performances at the Yerba Buena Gardens. It is an event celebrating the creativity of North America’s indigenous peoples, the 21st annual Native Contemporary Arts Festival showcases a diverse program of native music, dance, spoken word, artist vendors and native crafts. Will share pictures in next weeks blog. I am also researching what dog events there will be so Madam can have her share of events also BOL plus of course the different dog parks to visit. What are your plans for the summer ? If anyone is in San Francisco and wants to join us let us know – we could have a dog play date ! Now Madam is off to have her afternoon sleep, I am as always working as someone has to pay the bills and buy the treats. 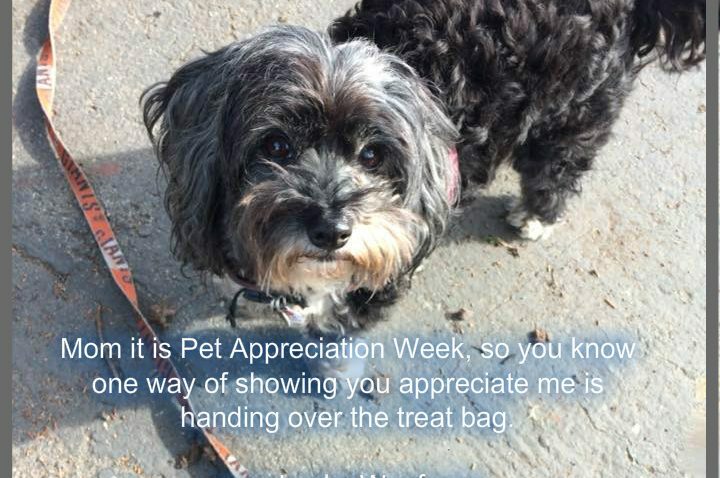 I thought every day was Pet Appreciation Day but Mom told me when we were in the park on Sunday that actually there is a special week set aside for this. 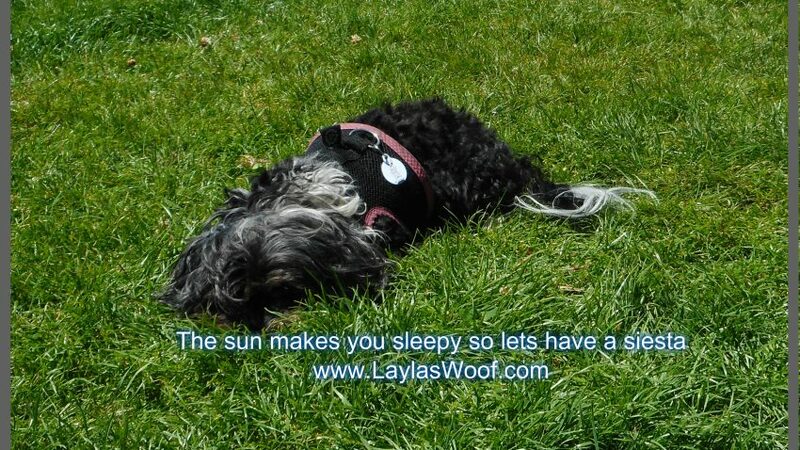 Wow I never knew that and I am working it hard with her for lots of things BOL. Pet Appreciation week was started in 1981 by the American Veterinary Association. This year started it on June 4 and ends June 10 although in our house it carries on 24/7 which I am sure happens in most homes but what we love about it is that it highlights so many points as to why we appreciate out pets so much and reminds us also of the unconditional love they give us. When I look back at my life and remember all my pets I remember how much they taught to me to appreciate them, to treasure them and to make sure they were loved all the time. I also think that is the reason that I stayed in the abusive relationship was because of Baby and how much I appreciated what she did for me and that list is a long one, but most important her giving me the strength and courage to run with her the moment I had that chance. It is something money cannot buy, that feeling of freedom with her and not having to walk on eggshells in the house anymore. Layla is Layla, I appreciate everything she does for me, her antics which keep me laughing, her unconditional love for me, her getting me out of the house and walking, and the list is endless. I cannot see my life without this little funny clown that is sleeping at the moment. For those that know her in person I am sure you are all chuckling about it. Our neighbor visits, Layla sits on her lap and howls as if she is part of the conversation, she then will get down and start digging up the bed and hiding her chews under the covers, her sitting moaning next to the desk demanding cuddles and attention, and so much more. But I would not change anything. What does Appreciation mean : In my eyes it means unconditional love, understanding, patience, laughter and much much more. And I think that the one thing that Layla really appreciates is that I rescued her and have given her a home, love and I can say she gone from pound to princess. So let us think about why you appreciate your pet ? What is so special about him or her ? What are you going to do special this week ? And why we are on the subject of appreciation we appreciate all of you reading our blog, commenting and sharing your stories with us here. Can you believe May is nearly over ! This year is going too fast for me, what do you think ? But the good news is June is here and that means summer holidays have arrived and although Mom is working, she will have more time to do some adventures with me. The past week was a bit of a mess with me being sick but am back to normal whatever normal is as Mom says. One of the things Mom found that really helped me was the Chicken Broth, she just cooked the chicken in the slow cooker with a teaspoon of Apple Cider Vinegar and then when cooling added some veggies. It is yummy and I have asked Mom to make more which she promised me she would. 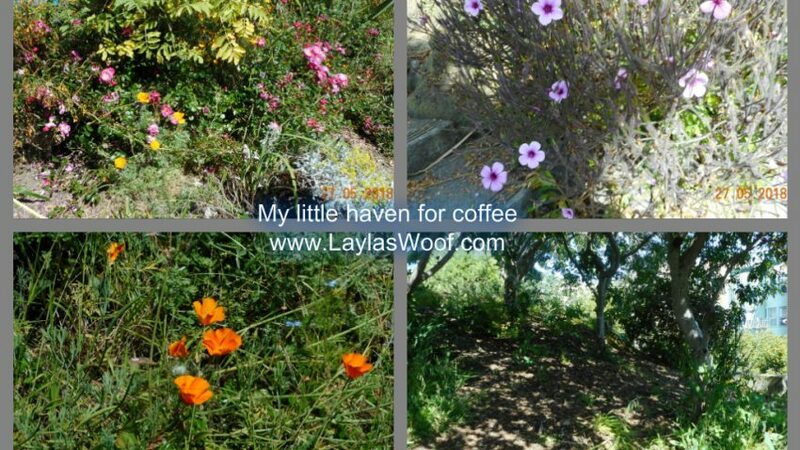 Over the weekend we did have some fun, Mom went on Sunday with me to a small little park not far from our house but what Mom loves about it is it secluded and very quiet, so she took coffee, sat on a bench relaxing and I wandered around smelling the flowers and everything else. It was a great way to start the day as when we walked home Mom was really calm which I love. On Monday we decided to stay in our area and spent time in our regular park but went early and spent about 3 hours there, hanging out with friends and their fur babies. It was really great to have that quality time with Mom again and no electronics. The only issue I have with Mom and park visits is the damn camera, I wish she would slow down a bit but she feels the memories are important so have stopped arguing with her. What are your plans for the summer ? Let’s hear some as maybe by you sharing Mom will get some interesting ideas BOL. I am off now to have my afternoon snooze as it is hot outside and cool here inside, it is a good life in the Layla Neighborhood. Wednesdays come and Wednesdays go, cannot keep up with them sometimes. 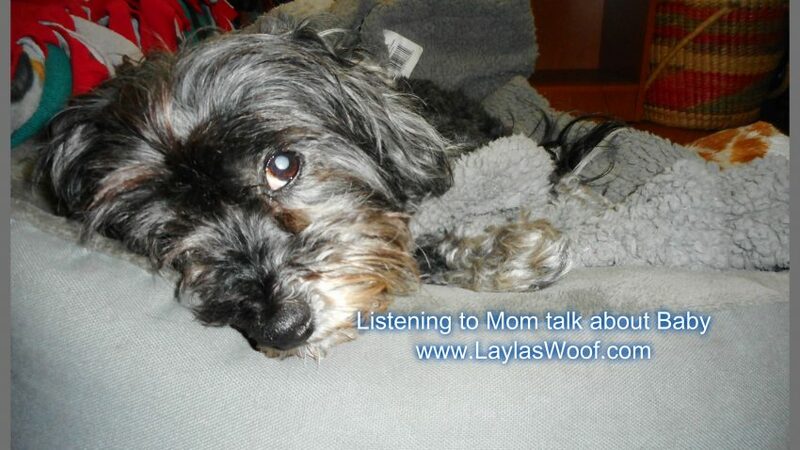 This past week has been a bit upside down for us, Layla has not been well. I think with age her immune system is slowing down. We were in the park last Tuesday, I do not let anyone give her treats anymore but when we got home all hell broke loose with an upset tummy. I do not have a back yard so when this happens I have to take here out so in the end I was lying on the bed in my clothes to make it easier. Layla will not use pee pads and she is really good in telling me when she needs to go. I immediately changed her diet to boiled rice, chicken, pumpkin and probiotics and she was eating and drinking with no problems so just monitored her. On Friday she vomited and that is when I really got concerned, double monitored her but when on Saturday she did it again I took her to the vet. I decided rather be safe than sorry. I hate the vets in many ways one of them is I sometimes feel they are so quick to give medications but on the other hand my biggest concern was dehydration. What they gave her is Metronidazole and Cerenia. I feel that the Cerenia is not necessary and she is not herself at all. So after discussing with the vet I have stopped giving it to her, but am keeping her on the other as I do know there is some tummy virus or bacteria going around the dog parks as quite a few dogs I know have been sick. I am also keeping her out of the park at the moment. My biggest concern is she is not drinking so am using a syringe to give her fluids plus making sure her food has a lot of chicken bone broth in it. Am at a loss with this one as such and am open to all ideas if anyone has any. The last time she drank out of a bowl of water was Saturday afternoon. Her appetite is great phew so she is getting the liquids from there. Otherwise in so many ways she is acting like her self, maybe sleeping a little more than usual but that can also be from the meds, so am not hysterical. She wants her long morning walk which I give her, she is digging up the bed LOL but this Jewish Mother is concerned. So unfortunately this is not one of our fun happy blogs but am reaching out on it to hear if anyone can give me some input on the drinking side. (Oy that sounds bad in a way). And like every Wednesday I woof about my past week, what I have been up to, both good and bad BOL. We have been very busy here, or should I say my slave, Mom has been very busy and I have been keeping an eye on her making sure everything is done right. That is the job of the Boss and it is tiring so I try to take as many naps as possible. Last Wednesday night we went to the Pets Are Wonderful Support’s 31st Anniversary Celebration: Petchitecture. It was a fancy event at the Fairmont hotel in San Francisco so I had to get all dressed up (I hate that part). All pets were invited and they even had a snack table for us – yummmm. What is this event. Petichitecture is an evening fundraiser held once a year to celebrate the generosity and compassion that has sustained the human-animal bond for over three decades in San Francisco. PAWS has been the organization that makes sure no person has to choose between the care of themselves or their pet. They serve over 600 clients and 800 companion animals annually. 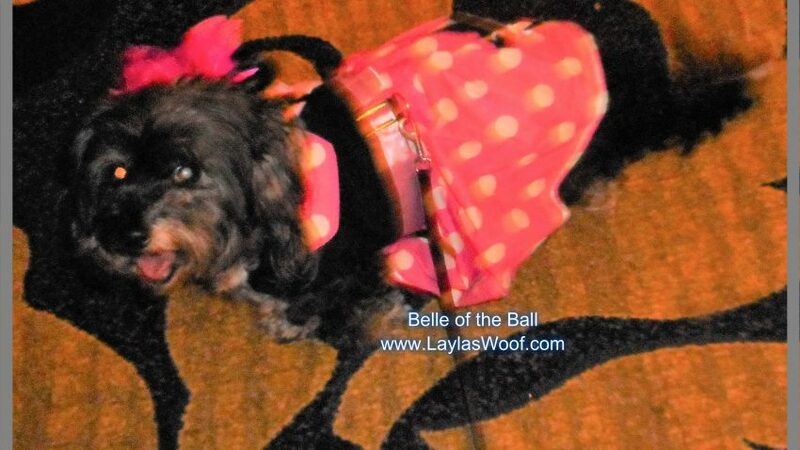 So off we went, me in my fancy new dress, Mom actually dressed up WOW and of course my Aunt Barbara came with us too looking really pretty. There were lots of people, dogs and oy vey even a pig on a leash, can you believe that ? I met a pig ! The downside was Mom’s camera was messing around so we did not get many pictures but she is trying to get from the organizers and we will have to share on Instagram. 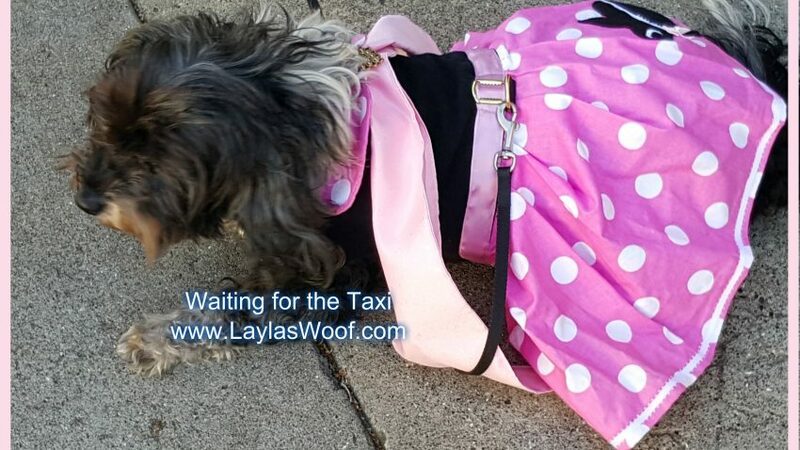 I have taken Layla to dog events but not an event like this so I decided to take with me her expandable pet carrier for safety so that if she started feeling overwhelmed she had a safe place to relax. Being the Jewish Mom LOL I made sure she was as comfortable as possible I took one other important item with me the CBD oil from Treatibles. After being at the event for about an hour or so I realized it was getting too much for her so I gave her a couple of drops of the oil, took her dress off and put her in her bag. It was fantastic as she immediately relaxed, settled down and I was also able to sit back and enjoy the company and good food. CBD oil, I have tried many products to keep her calm, and I have found that CBD oil is the best solution for her, within minutes she is relaxed and normally curls up and goes to sleep with all the chaos around us. I have a bottle in my Earthquake bag also as I know that if we have to run I have something to keep her calm. Why I love Treatibles, first their service is great, I can ask questions and get replies within 24 hours and I think the major plus for me is that they are in California so I know that it is a safe product. 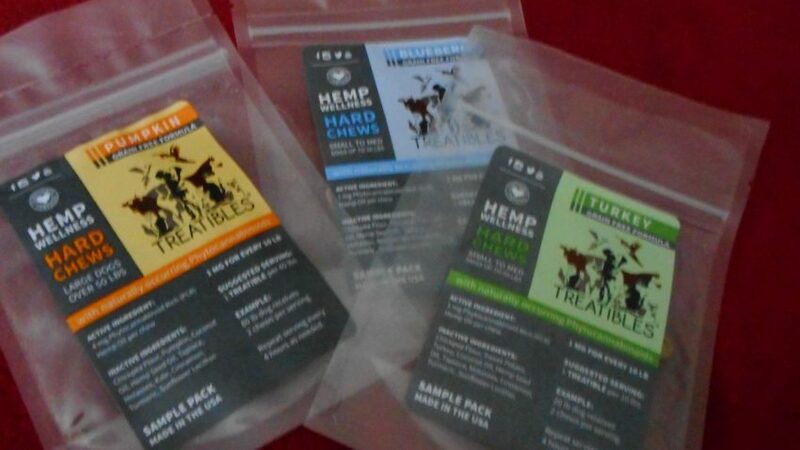 Excluding the oil they also make CBD dog biscuits for different size dogs which makes life really easy when you thinking of quantity for your dog size. Mommmm ! Don’t forget to tell them that Treatibles also helps cats !!! Grrr. When we left the event I actually just carried her and she was one relaxed happy camper. 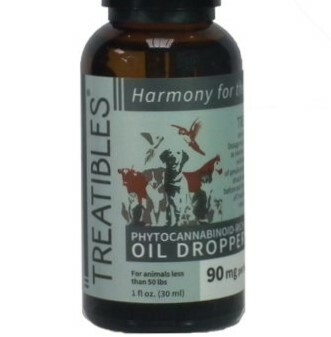 Treatibles gave me a bottle of oil and the treats for the review. The other special event we went to this past week was the Welcome Home Party for Phyllo – many of you read how Phyllo was stolen and he is now home safe and sound. His story is just amazing and I plan to sit with his owner and get the full story and blog about it as we can all learn from it and how a community got together to help. They gave all of little goodie bags which was so exciting. So in between all this we have been busy with our normal routine and Mom says she is really tired BOL. She needs a box like mine and more naps. Good Morning Friends and we hope you had a wonderful weekend. Mommy is so busy here and she is complaining that my diary is too full this week BOL but she has a point as we are busy. 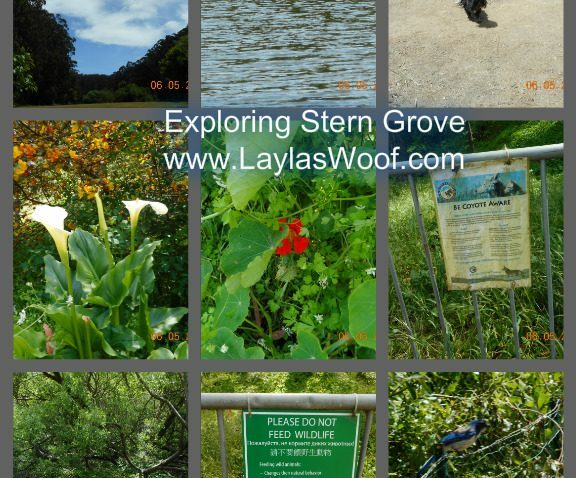 On Sunday we went on an adventure to one of Moms favorite places, Stern Grove which is a beautiful big park with a lake at the end. It was fun to run along the pathway and smell lots of new smells, listen to the birds and relax in the sun. There were even turtles sunbathing on a rock in the middle of the lake. 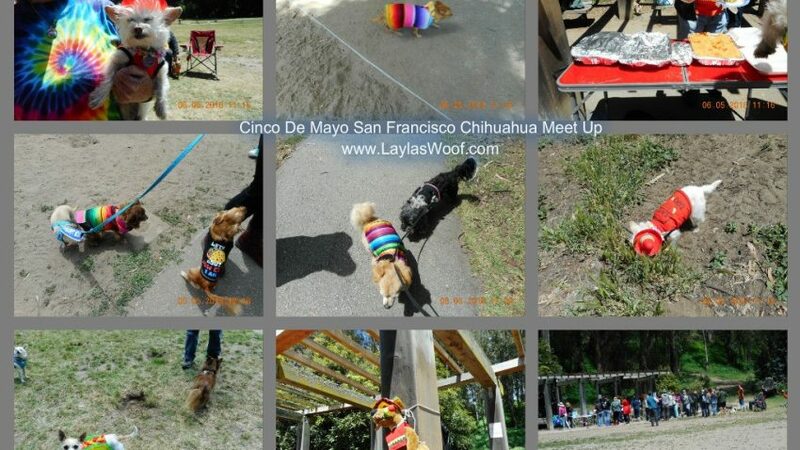 One of the reasons we went was the San Francisco Chihuahuas has their monthly meet up there and they were having a Cinco De Mayo party. 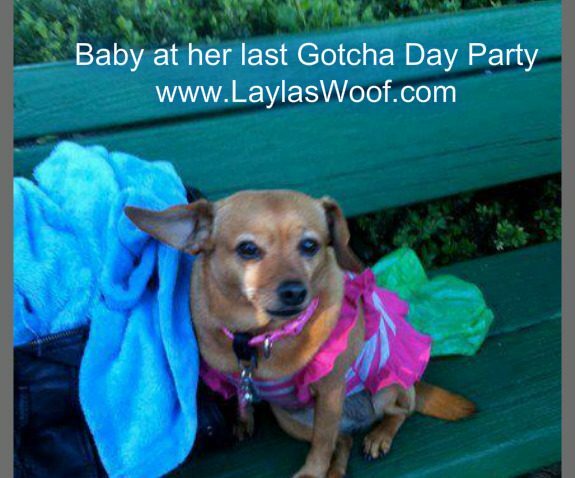 Lots of Chihuahuas all dressed up and yapping, just like a party should be. It was lots of fun with lots of food although Meanie Mom would not share as she says the food is not good for me. Excuses, excuses, excuses. One of the best dog events in the city. Today oy vey we are going to a fancy event, Pets Are Wonderful Support’s 31st Anniversary Celebration: Petchitecture Gala. I have to get dressed up for that, can you believe it ? All the dogs will be dressed up, they going to have a table of snacks for us, volunteers to look after us if Mom needs one. This is my first fancy event I am going to and really excited and we will share pictures next week from it. And now I suppose we should NOT forget what day it is on Sunday, yup it is Hoomans Mothers Day event – I think that is the most important one of all. What are you going to be doing for your Mom on Mothers Day. Me, am gonna try let her sleep in and behave. 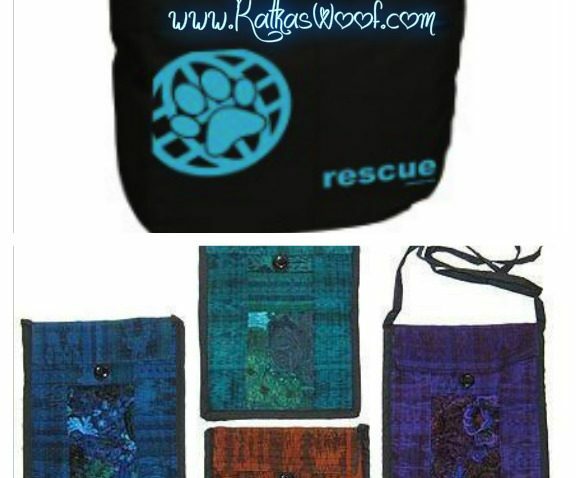 We decided that all Moms needs something special for themselves so as a Mothers Day GiveAway we are going to spoil one Mom with a wonderful Rescue Tote Bag and Guatemalan Dog Walkers Bag. They are amazing, I love mine that I received from PawZaar and find it to be the best I have come across to date. It holds a lot and makes my life so easy when going out for the day. What I really love about it is the side pockets for treats, bottle of water and whatever else I need handy. Plus the Dog Walkers Bag I used as a small inside purse and put my camera and phone it it. What I especially love about Pawzaar is they donate to rescues with every sale that is done so every one benefits from them. These are the kind of businesses I love to work with and are important to me. This give away is open to Canada also. Spring is here I hope for everyone and the flowers are blooming, the chill is disappearing and everyone will be able to spend more time outdoors with our dogs. What a wonderful feeling. May also brings back memories for me, not good ones but ones that I can say I am blessed to have had and those are with Baby R.I.P. I will never forget going to the shelter to choose a dog, my ex told me to choose and then like anything else in an abusive relationship it was what she wanted or nothing so Baby came to live with us. That was 07 May 2006. She was a cute little chiweenie, full of love and I could not have asked for a better friend through the hard times. Because of her I was able to escape the daily abuse by taking her for long walks, sometimes sitting under a tree and watching the world go by with her in my arms, she kept me alive in many ways during that awful period of my life. She was the reason I stayed in the Domestic Violence relationship as I was not prepared to leave her there but the minute I had the chance I ran with her. It was hard, stressful but I would do it all over. She was my hero. Many Domestic Violence victims to this day say I stayed in the relationship because of my pets and I so fully understand them, they are your children and you would not leave them behind to be abused so would rather take the abuse to protect them. So as those May memories go through my mind I am blessed to have had her, we had a couple of years of freedom together where I over spoiled her with no regrets, when she passed which was one of the hardest days of my life, I waited and then adopted Layla. Layla is my rock, she keeps me amused, makes me smile, and is blessed to have not gone through those dark days with me but instead has had the chance to have sunny ones and this month brings the sunny days to us. So let us all count our blessings, say thanks for what we have, material items are great but they cannot measure the unconditional love of a pet and if I had to choose between the two i would go for the pet. It is the last Wednesday of April WOW and Spring has arrived. As they say out with the old in with the new, so with Spring arriving we have finally updated our blog. With Spring comes the famous nightmare that I am sure a lot of us are complaining about, allergies. Eyes are watering, itching all over, sneezing and the list can go on. So what are we going to do about them this year. 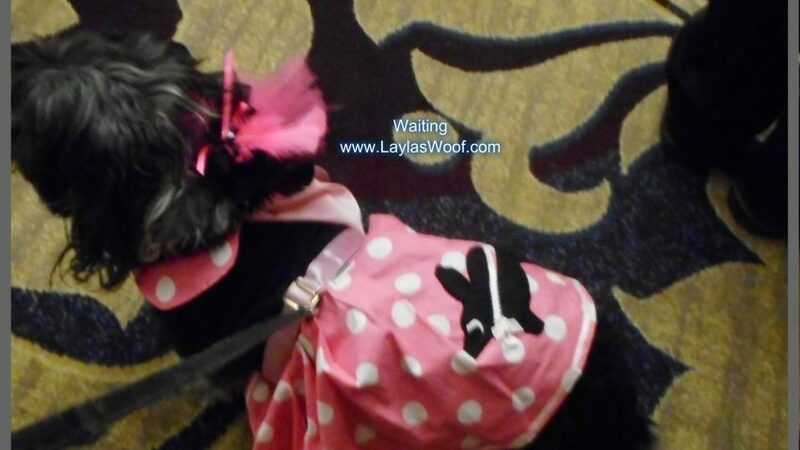 Most of you know I do not believe in medications especially as Layla is allergic to Benadryl so am always looking for new solutions, something that will keep her calm and relaxed. So was sniffing around the internet doing my nosework and found this fantastic product which I am really in love with. 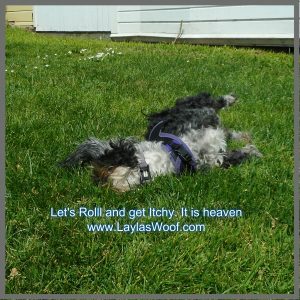 Having tried it on Layla a couple of days especially after her rolling in the grass, I have found it relaxes her, she is hardly scratching and best of all it has no chemicals and smells wonderful. 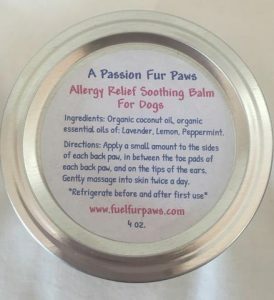 What is it : Allergy Relief Soothing Balm for Dogs made by A Passion fur Paws. It has only 4 ingredients which is awesome and they are : Coconut Oil, Organic Essential Oils of lavender, lemon and peppermint. It is easy to rub on and I have found that even with Layla’s fur which sometimes gets matted from Balms this one is working wonders. I am rubbing it on her paws, the tips of her ears and her back when I see her scratch. Plus when I spread it on her it softens my hands at the same time LOL. While reading through the website I decided to look at the treats as no dog has enough treats LOL and found Chicken Jerky wrapped with bacon. OMD Layla is in seventh heaven and loves them. A must in the house is what I can say. Made in the USA so perfectly safe. We did get the Balm and Treats to try for the review and Layla has now put the treats on her wish list to get some more. 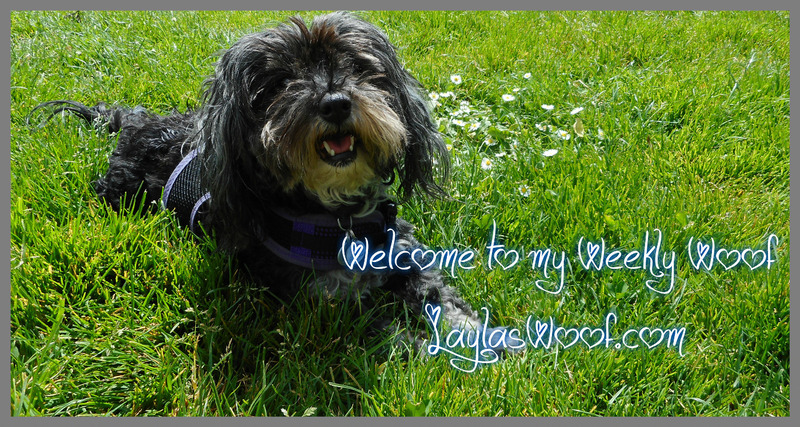 Woof, my name is Layla. I am one of the lucky rescued dogs who has a wonderful home with my Mom. I was named Layla which means “night” in Hebrew as I arrived from the Carson shelter at night and Mom being a Hebrew Teacher decided to give me that name. We started this blog to share my life with you, a diary of sorts sharing what is important in our lives like Rescue, Domestic Violence and all other topics to keep pets healthy, safe and happy. Plus of course the fun adventures or dog events we do together. Mom, being a Jewish Mom, is very careful what foods or treats I eat, what products I use, how I travel and many other topics to keep my life healthy and stress free, so along the way we started doing reviews on the different products and the occasional giveaway. Welcome to my blog and we hope you will enjoy following us.